Kick off your visit on the 11th (Mon): identify plant and animal life at El Yunque Rain Forest. To find where to stay, traveler tips, and more tourist information, read our El Yunque National Forest journey maker tool . Norfolk, USA to El Yunque National Forest is an approximately 11.5-hour flight. The time zone difference moving from Eastern Standard Time to Atlantic Standard Time is 1 hour. Traveling from Norfolk in February, expect El Yunque National Forest to be warmer, temps between 84°F and 73°F. Finish up your sightseeing early on the 11th (Mon) so you can travel to Culebra. Kids will enjoy Zoni Beach and Tamarindo Beach. 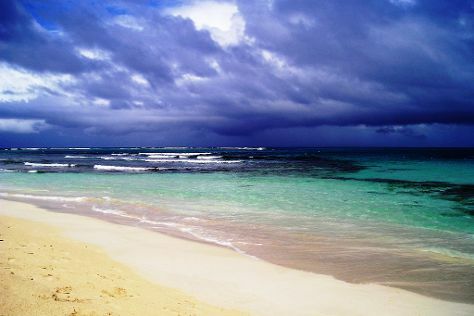 Relax by the water at Flamenco Beach and Carlos Rosario Beach. There's much more to do: enjoy the sand and surf at Brava Beach, examine the collection at Museo Historico de Culebra, get lost in a book at Culebra Public Library, and stroll through Playa Punta Soldado Beach. For more things to do, where to stay, ratings, and more tourist information, refer to the Culebra online trip builder . You can do a combination of car and ferry from El Yunque National Forest to Culebra in 2.5 hours. Alternatively, you can do a combination of shuttle and flight; or do a combination of shuttle and ferry. In February, daily temperatures in Culebra can reach 84°F, while at night they dip to 73°F. Finish your sightseeing early on the 14th (Thu) to allow enough time to travel to Isla de Vieques. Bring the kids along to La Chiva and Caracas Beach. We've included these beaches for you: Sun Bay and Media Luna Beach. There's still lots to do: look for all kinds of wild species at Vieques National Wildlife Refuge, soothe aching muscles at some of the top local wellness centers, and take a leisurely stroll along Malecon. To see reviews, more things to do, where to stay, and more tourist information, you can read our Isla de Vieques road trip planner . Traveling by combination of flight and car from Culebra to Isla de Vieques takes 2.5 hours. Alternatively, you can ride a ferry. In February in Isla de Vieques, expect temperatures between 83°F during the day and 73°F at night. Wrap up your sightseeing on the 17th (Sun) to allow time to travel back home.